Hey, style surgeons! I know I haven't posted anything since Thursday. I was out of town for a company trip and now I'm back. Watch out for a giveaway tomorrow on my Twitter (not related to this post, but I thought I'd just give you a heads up :D), so make sure to follow so you'll be updated! Thank you so much to Joy of House of Luxe for sending these over! 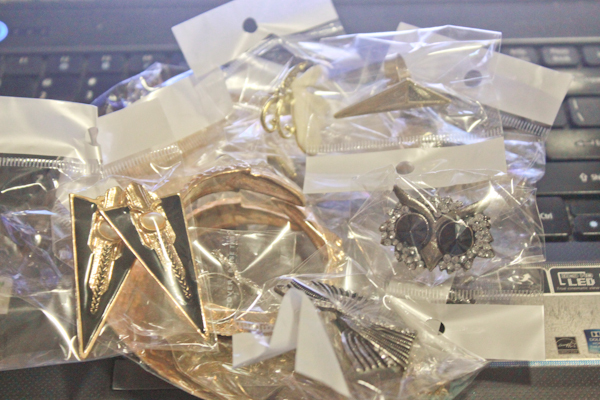 I haven't gone accessories shopping in a while because I've been busy and I've been mainly stocking up on clothes. And I'm so, so, so thankful when these arrived in the mail! 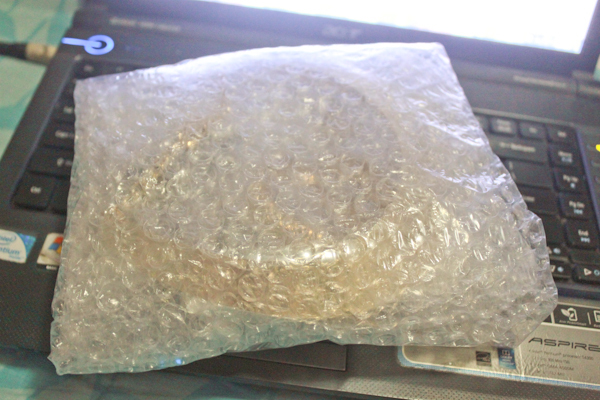 Carefully protected in bubble wrap to ensure that products are in good condition. I swear, it had like two bubble wraps around it! You've already seen me wearing the black and gold earrings here. They have a new collection up which I'm sure you will drool over. Personally, I bought a bunch of stuff from the new collection too! Plus their previous collections will not fail you as well :) House of Luxe really owns up to its name with their carefully chosen pieces. Plus, you'll see that their products also reach outside of Philippines! Woot!